Armed with a warm blanket and mosquito repellent, I lay in my dew dampened hammock in the wee hours last night watching the spectacular smattering of meteors dashing around the alpine sky, and it occurred to me that this whole business of seeking agent representation involves a bit of luck. It might be the right time of year to watch the annual Perseid shower, but it’s the wrong time of year to be submitting to agents. With half the literary world on their summer holidays, submissions are mounting up on their virtual doormats in piles so high they could reach the heavens. I am ever hopeful that one of the lovely agents I have submitted my manuscript to will reach over their virtual hammocks and pluck my novel off the top. If I have done my research correctly, I will at least have narrowed my choice of agents down to those who enjoy reading my literary genre. Crime is the most widely read fiction genre, and under its umbrella are a wide variety of sub-genres. But even if I have that part right, there is always the question of whether someone likes my style, my narrative, or my protagonist’s voice. I love my book, but every reader’s opinion is subjective. 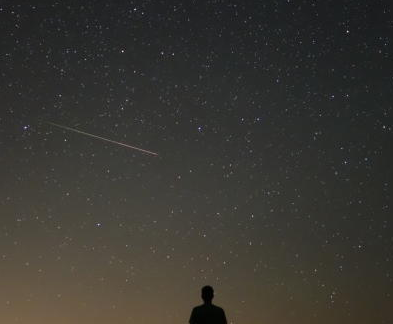 So with every bright streak, on the dying fizz of its ionized particles, I made the biggest wish of all, that one of those lucky people who has picked my submission at the right moment and had the chance to read my manuscript will want to catch a shooting star.